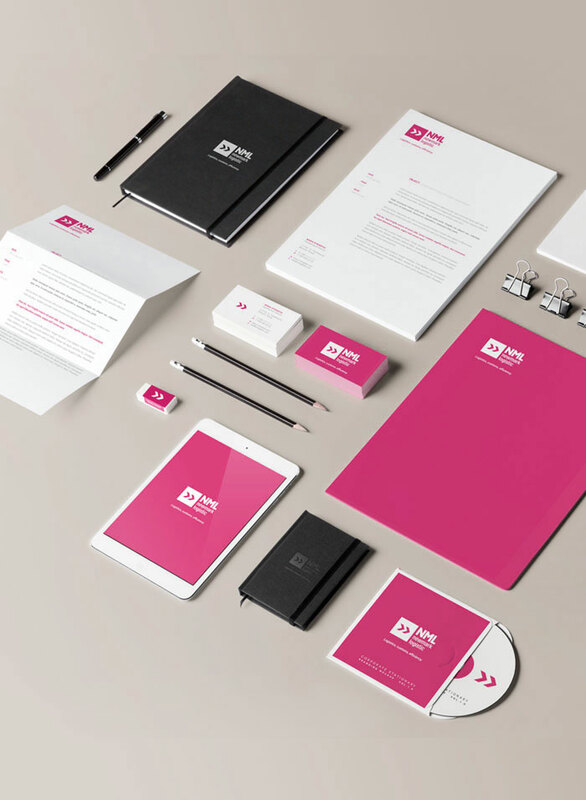 A corporate identity reflects an organization’s core values and fundamentals. It helps create a distinct, detailed impression of the organization in the mind of its consumers by effectively going beyond a logo and tagline. Designing a solid corporate identity helps your customers and potential investors to remember your company. When your business has a positive corporate identity, it will attract customers, motivate and encourage them to stay with you and refer their family or friends to your business. All the business and marketing activities revolve around a company's corporate identity. Our complete corporate identity services include logo design, stationary design (business cards, envelopes, letterheads, and postcards), brochure and newsletter design, etc. It is essential for you to promote your corporate identity tools to your target customers through online, traditional and social media. You need to include them on letterheads, business cards, brochures, packaging and every communication medium you do with them. Our Corporate Identity design process starts with a brief from the client as to their expectations and requirements that their corporate identity should fulfill. This also includes answers to the preferred colors, the tag line, the company name other likes and dislikes. Mirackle Solutions takes pride in taking responsibility and getting involved with your company's Corporate Identity design work as a team. Over the years we have offered our corporate identity design solution to numerous clients in Mumbai, across India, Mauritius and other parts of the world. Another advantage is that we offer you complete design solutions like Stationery design, Brochure Design, Email Design, Multimedia Presentation Designing services and not just Logo Designing. We follow the process to keep It Simple, Attractive and Creative for Corporate Identity Design. We understand that creating a professional design is both an art and a science.